Your home’s flooring should reflect your family’s unique personality. 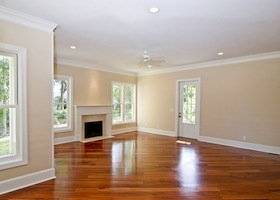 We will help you find the best residential flooring for your home’s needs. Whatever the room in your home, we can help make it look amazing. Take a look at our beautiful gallery to see some examples. Talk to our experts to see the best kind of flooring for you. The kitchen is often the heart of the home, and we know that you want it to look absolutely beautiful. 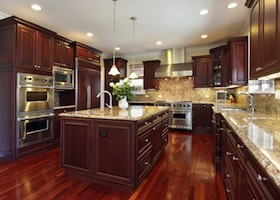 Whether you are looking for hardwood flooring, tile or laminate, we have a great selection of kitchen flooring. Make your bathroom a place in the home where you can relax and get ready for your busy day. We have a wide selection of flooring that will make it easy for you to keep your bathroom clean and beautiful. We know that your bedroom should be a place where you can express your style. DUNCAN Flooring Specialist has all the best kind of flooring to make your bedroom comfortable and lovely. Whether you are watching TV, reading a book, or playing games, the living room is where memories happen. If you are in need of flooring for your living room, talk to DUNCAN Flooring to see how we can help your family.